GRAPPA & C0. : ENERGY FOR LIFE FROM GRAPES Guided tour to the Poli Distillery and to the Poli Grappa Museum, Schiavon branch,to appreciate the many ways grapes can be enjoyed and the many products they give origin to. Grapes are an extraordinary nature’s gift out of which the mankind gets several products that give pleasure, energy and life. In addition to wine, grapes give origin to Grappa, brandy, grape brandy and alcohol too. However, most people don’t know that other products such as grapeseed oil, tartaric acid, a natural colouring, briquettes, fodder and fertilizer, electric and heat energy can be obtained from distilled grape marc (grapes’ skin, seeds and stalks). While EXPO2015 is approaching, the Poli family offers an educational tour highlighting the positive contribution made by italian distilleries to the safeguard of the environment. In this occasion, the latest “Maria” project, Grappa made from organic grape marc, will be presented. A tasting of Grappa and Poli liqueurs will be offered at the end of the visit. We’re looking foward to welcoming you! Upon booking only, guided tours from Monday to Friday, from 9am to 1pm and from 2pm to 6pm. The guided tour takes approximately one hour and a half, a comprehensive tasting of our Poli spirits is offered at the end. Entry fee is 5€ per person. Free access to the museum. Established in 1989, Poli Distillerie is an an tisan-type company owned by the Poli family and located in Schiavon, near Bassano del Grappa, in the heart of Veneto, the most renowned region in Italy for Grappa production. The Poli family has been distilling Grappa and other spirits artisanally for 4 generations, using a still entirely made in copper, one of the few ones still existing. To go back to the places of origin of the Poli family it is necessary to go near Bassano del Grappa, in the heart of the Veneto foothills. It was precisely in the village of Gomarolo that saw the infancy of Polo, son of Pietro son of the late Gasparo, who, in the fifteenth century, owned "quatro campi de tera, quaranta piegore e tre vache" (four fields, forty sheep and three cows). 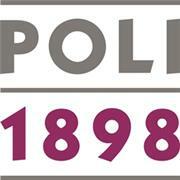 And it was from him that the family took the name "Poli", meaning children, descendants of Polo. Between the sixteenth and eighteenth the descendants of Polo worked the land and produced milk and cheese, with mixed fortunes and profits. The period spent in those districts ended with GioBatta (1792-1870), who moved to his wife's house in San Luca where a tavern was opened with horse change and wholesale of wine and straw hats. In 1885 his grandson GioBatta (1846-1921) moved to Schiavon, where he continued the wholesale and retail sales of wine and straw hats in the new "Al Cappello" tavern. Perhaps only he could imagine that one day there would be a distillery in those premises. The building of the Poli Distillerie is considered to be of major historical interest because of its portico structure which is typical of the old Veneto rural dwellings. The 12 knights, an old still entirely in copper and one of the very few remaining, comprising 12 discontinuous-cycle flowing steam pot stills, ideal for distilling marc from red grapes. Athanor, a classic double-boiler system installed in 2001, used to distil grapes,fruits and wine. Crysopea a double-boiler vacuum system installed in 2009 after years of research, used to distil marc from white grapes; it is considered to be the most innovative plant for making Grappa in operation today. The Jacopo Poli line comprises vintage distillates from selected vines: Amorosa di Settembre, Amorosa di Dicembre and Poli Barrique Grappas, the grape distillate Chiara di Moscato and the wine distillate Arzente. The Poli line comprises distillates from selected raw materials: the GrappasCleopatra Moscato Oro, Cleopatra Amarone Oro, Cleopatra Prosecco Oro, PO’ Morbida / Smooth, PO’ Aromatica / Aromatic, PO’ Elegante / Elegant, PO’ Secca / Dry, Sarpa, Sarpa Barrique, the grape brandy Uvaviva Italiana and Uvaviva Americana, the wine distillate Brandy Italiano and the Ciliegie (Cherry), Pere (Pear) and Lamponi (Rasperry) fruit brandy. The Poli Museum line comprises Grappas obtained from mixed marc varieties, Bassano Classica, Bassano 24 Carati;Grappas flavoured with Ruta (Rue), Liquirzia (Liquorice), Miele (Honey) and Mirtillo (Blueberry), and the liqueurs Tajadea, Aperitivo, Amaro, Prugna di Poli. Poli has been making Grappa di Sassicaia since 1994, in collaboration with Marchese Incisa della Rocchetta of Bolgheri, and Grappa Luce, the result of the joint venture started in 1997 between Robert Mondavi, Napa Valley - California, and Marchesi de’ Frescobaldi of Florence. 2. in Schiavon: the knowledge of the most important italian distillate can be deepened in an ancient building by the distillery. The museum features a collection of 2000 historical Grappa bottles coming from about 400 distilleries.